← It’s Fenugreek to Me! Healthy looking hair is a good visual indicator of overall health. Hair is growing tissue, the health of which is positively influenced by proper nutrition and physical wellbeing and negatively influenced by stress, inadequate sleep, hormonal imbalances, smoking and dietary deficiencies. Similar to other bodily cells, hair requires care and nutritional support to remain strong, yet soft, manageable and vibrant. A balanced, nutritious diet including adequate protein, omega-3 essential fatty acids and B-complex vitamins is vital to fortify both the hair and the scalp. As well, inadequate nutrition will affect not only overall health but will strip your hair of its natural beauty. We are born with approximately 5 million hair follicles, 100,000 of which are located on the scalp. While hair is simple in structure, its growth process is not. Each hair travels through four stages over a period of years as part of the growth cycle. The hair that we can see and touch is composed of cells packed with keratin, a protein rich in sulphurous amino acids. 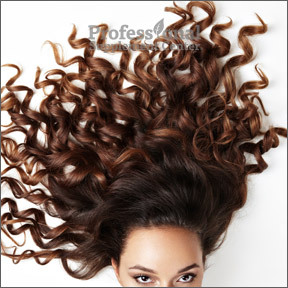 These cells rapidly die as the amino acids form chains and the hair is gradually pushed upwards through the hair shaft. A steady supply of nutrients is needed to maintain normal, healthy hair growth during the lengthy growth phase. As the root receives nourishment and hormones from blood vessels, the living cells divide, grow and build the hair shaft, which eventually emerges through the skin. Along the way, oil glands moisturize the hair. From the beginning of growth to the falling out stage, each hair will pass through the anagen or growing phase, the catagen or regression phase, the telogen or resting phase and finally the exogen or shedding phase. The growth phase lasts an average of 3 – 5 years and may sometimes last as long as 7 years. Because each hair may be at a different stage of the growth cycle, it’s normal to lose 50 – 100 hairs a day, as the individual hairs progress to their shedding phase. Once an old hair detaches from the follicle, a new one will begin to grow to take its place. How can you know if your hair is truly healthy? It’s shiny and smooth and has lots of elasticity. It detangles easily and sheds the normal amount. Protein – Necessary for cell growth and repair, protein boosts hair strength and helps to keep hair healthy. A diet that is too low in protein can result in dry, brittle or weak hair. Extremely low protein intake may result in hair loss. B-complex vitamins -Biotin, niacin and cobalamin help to restore shine and thickness and protect against hair loss and brittle hair. B vitamins promote new hair growth and healthier texture, and protect against dryness, flaky scalp and breakage. Iron – Too little iron is a major cause of anemia-related hair loss in women of child bearing age. When serum iron levels fall, the nutrient and oxygen supply to the hair follicle is disrupted, which can affect the hair growth cycle and result in shedding. Premenopausal women should ensure their diet includes iron rich foods, such as spinach, beans or seafood. A simple blood test can indicate iron deficiency. Consult your healthcare provider before supplementing with iron. Vitamin C – Vitamin C aids the absorption of food-based iron, and supports the production of collagen, which strengthens the capillaries that supply nutrients to the hair shafts. Vitamin C can improve hair growth, prevent hair loss and promote thicker, healthier hair. Vitamin D – In addition to addressing vitamin D deficiency, a vitamin D supplement is important for hair follicle cycling and may help to activate hair growth. Vitamin A – The body uses vitamin A to make sebum, an oily substance created by our hairs’ sebaceous glands. Sebum acts as a natural conditioner, supporting the health of the scalp and preventing dryness and itchiness. Omega-3 essential fatty acids – EPA and DHA not only support heart and brain health, they also regulate oil production and help to keep the skin, scalp and hair hydrated. Omega-3’s help to boost hair shine and prevent dry hair and flaky scalp. Zinc and selenium – Zinc and selenium support hair growth and help to prevent hair loss and dry, flaky scalp. Hair, Skin & Nails by Now Foods – This clinically advanced formula provides the nutrients that nurture the health of hair, skin and nails, including a patented and bioavailable form of solubilized keratin that helps to maintain full, lustrous hair. Gluten and dairy free, Non-GMO formulation. Hair/Skin/Nails Ultra by Pure Encapsulations – This formula provides key building blocks and proper nutrients that support skin elasticity and hydration, healthy hair, and nail strength. Gluten and soy free, Non-GMO vegetarian formulation. BioSil® Skin, Hair, Nails by Natural Factors – This formula helps to thicken and strengthen hair, increase skin elasticity and strengthen nails. BioSil® aids in generating collagen by supporting the body’s own collagen producing cells. Gluten, soy and dairy free formulation. Hair, Skin and Nail Plus Formula by Douglas Laboratories – This formula supplies beneficial amounts of the specific vitamins, minerals and botanicals that support the health of hair, skin and nails. Gluten, soy and dairy free formulation. This entry was posted in Home and tagged B-Complex vitamins, Iron, Nutrients for Healthy Hair, Omega-3 essential fatty acids, Professional Supplement Center, protein, Vitamin A, Vitamin C, Vitamin D, Vitamins and supplements, www.professionalsupplementcenter.com, Zinc and selenium. Bookmark the permalink.